Toop&Toop Blog: Adelaide… We're world class. Having been away for 10 years interstate in Melbourne, the Gold Coast and Sydney, I am excited and pumped to be back living and working in Adelaide. Not just because we are spoilt here with an amazing lifestyle but also for the fact that this is a city where young professionals and business owners have huge potential to learn and grow. We can actually make a difference here. With the announcement late last year that Holden will be closing its doors in 2017, the Adelaide business culture has had a shadow cast over it. There was a lot of discussion in this week's papers about our government and leaders in this state not having the right mindset and being too slow to act. We, like every other state, are exposed to changing market conditions, and the closure of Holden is one example of how these events can really hit home. Sure, it's tough but this is what drives innovation and excellence. This is what will ultimately keep South Australian companies world competitive, because it can be tough. But this should be celebrated because it's what defines us. There are a number of young professionals in this state that are just getting on with the job… and should be noticed for doing so. For example, in our field, we lead the nation in what were doing, that's not just spin, that's a simple fact. We've won more real estate awards in Marketing and Innovation than any other company in Australia. SA businesses are making their mark, not only locally, but across the country. This couldn't have been clearer to me when I was visiting Sydney earlier this month. I was sitting in one of my favourite and very popular restaurants in Potts Point. I booked a week before to ensure we could get a table as it is known for its amazing food and even better cocktail menu. Scrolling through the 10-page list of drinks alone, I came to the cider section. The two options in front of me were Hills Apple Cider and Hills Pear Cider from our very own Adelaide Hills. A home grown, Adelaide business had trumped all others and it was great to see! South Australia is not only making its mark in the brewing industry, but it goes much further than that. A number of young, savvy business owners are pursuing opportunity here in our state. Whatever the industry - hospitality, optometry, IT programming, recruitment - there are business minded people who have their foot firmly on the gas and are here to stay. A great example is a good friend of mine, Lachie - he is a world guru in the specialty of contact lenses. With international patents in his field, he's flown all over the world to share his ground breaking discoveries at conferences. Lachie is 28 and just does his thing. The guy's a global legend. Adelaide is set up to foster young business minded people who want to learn from the best. We are in an environment where we bump into each other frequently (this is something that just doesn't happen in our big cities) and we can build great relationships with a range of people from different backgrounds. And when it comes to laying the foundations and buying a property, we are not priced out of the market. We are the most affordable capital city in mainland Australia and have the upper hand for getting in the door for our first home or property investment. In no other city can you afford to buy a home so close to the city. We also don't have the frustrations of the bigger cities, we can get around our state with much more ease and we are extremely fortunate for this. 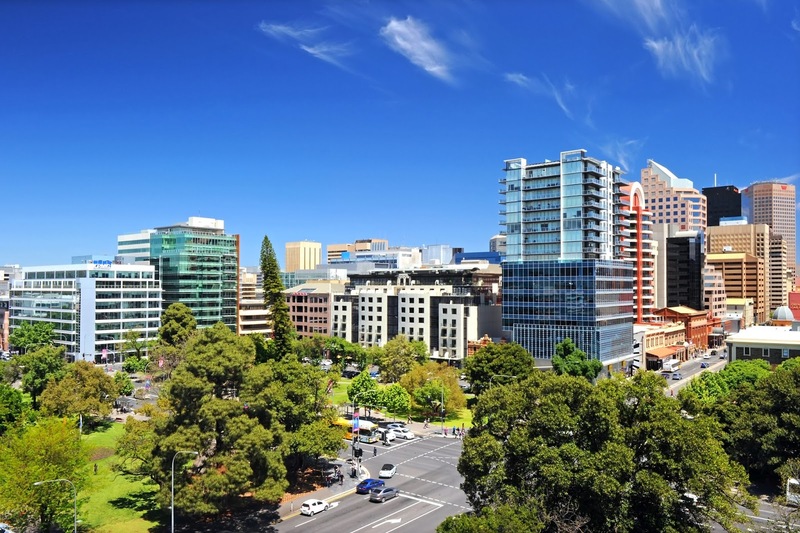 We are starting to see the fruits of the redevelopment of Rundle Mall, Adelaide Oval and the whole Torrens precinct as people are embracing the new look city. This environment, coupled with the determination to succeed, we are living in a city where business people can get stuck into it. Adelaide is home. We will continue to make the most of opportunities and take changing market conditions in our stride. If you are going to make it in SA, you're going to be world class.